I like cream puffs. I like making cream puffs. I like serving cream puffs. I like eating cream puffs. I like that the choux pastry is easy to make and is so flexible. I have never had a fallen cream puff. Ever. Well, technically, a gougere is not a cream puff, but rather a savory application of the choux pastry dough. The dough is rich in eggs, which provides the steam so the puffs can, well, puff. 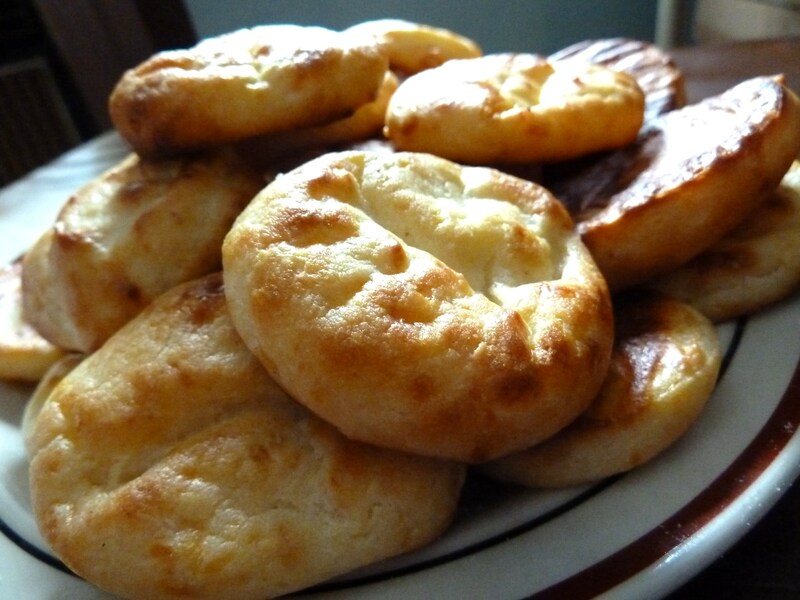 Gougeres are a slightly richer dough with grated cheese mixed in. For some unfathomable reason I seemed to have put too much milk, or moisture in the dough, which caused it to be able to incorporate less egg. Less egg means less structure and rise. Which means a fallen puff. It is a sad, sad thing. However, the poor things wrinkled up attractively and had terrific flavour. Both my siblings loved it and had one after another. Which I guess is a good thing. But until I recover from my cream puff failure, I won’t post the recipe for gougeres. I guess sometimes baking is forgiving. What happens when your bread goes Ka-Ka-POO in the oven? Here. This happens. 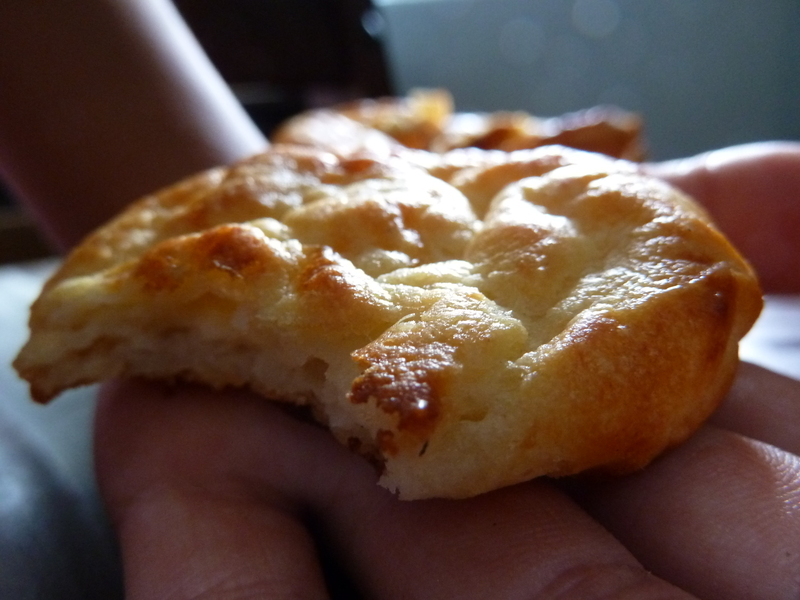 Chewy crust, soft and gooey interior. Doesn’t that sound like Chinese rice cakes? The kind that is eaten around Chinese New Year, that is steamed, baked, or fried. It is often flavoured with brown sugar, red bean paste, or lotus paste. It is also made of rice. Which is not the case of my fallen loaf. I remember a friend’s mom used to make a baked rice cake that she would bring to church. 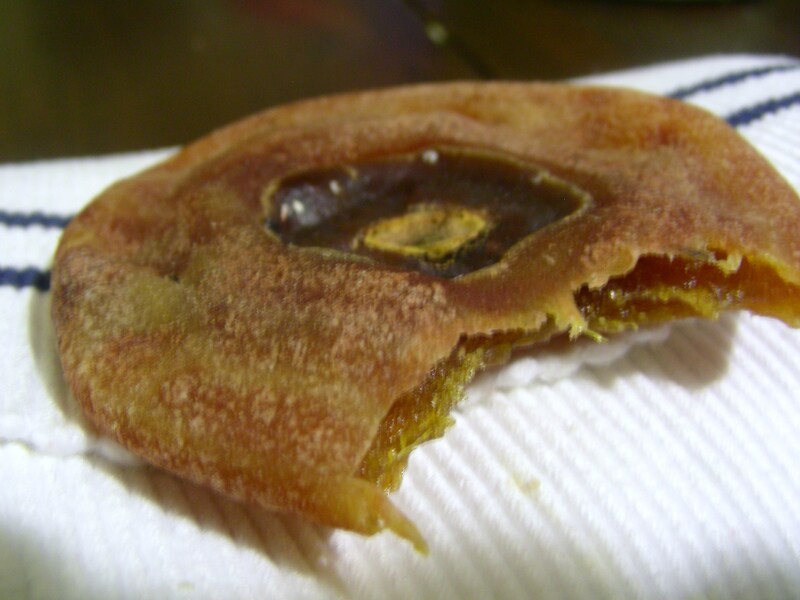 It was filled with red bean paste and had a crust that was just like my unfortunate sweet bread. I am not 100% sure. But I am certain that this happened once before. I suppose it is the danger of batter breads. 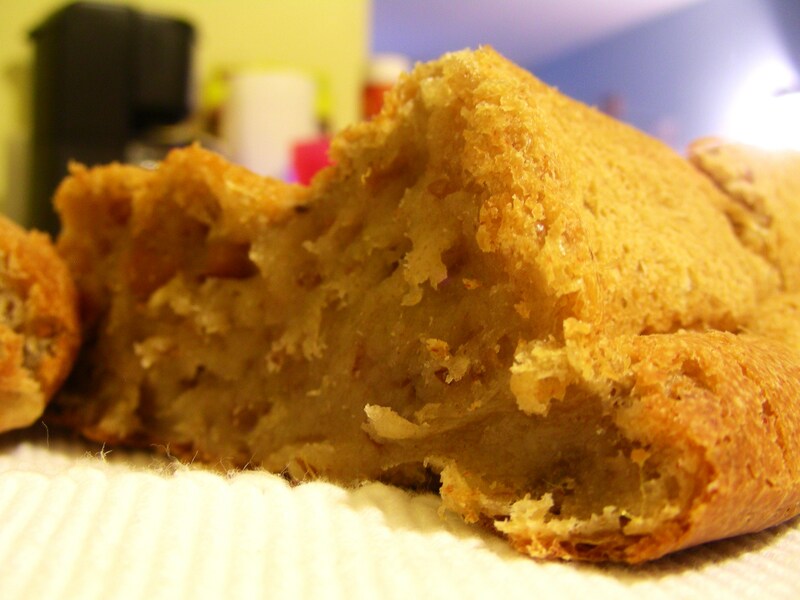 Batter breads are your friend. They require little effort to mix, rise, and bake. 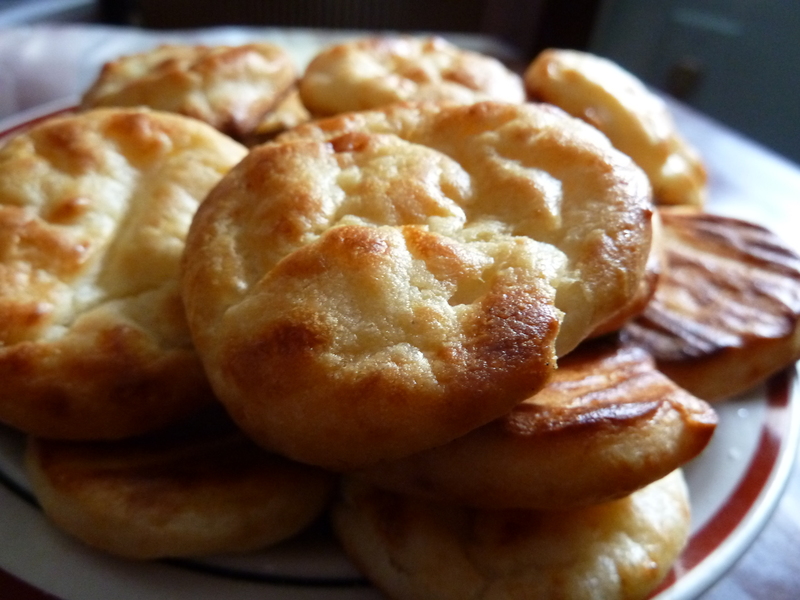 The result is soft and buttery. Like the Cloud Nine Bread, found here. The last failure on batter bread I attributed to too much liquid and a too slack dough. So I amended that this time. The dough was of the right consistency and everything looked all right while rising and even in the oven. I take it out. I turn the pan upside down. The poor thing collapses. I cut it open a little while later and find an unexpected treasure. Chinese “rice” cake. One studded with dried persimmon and pecans that is. 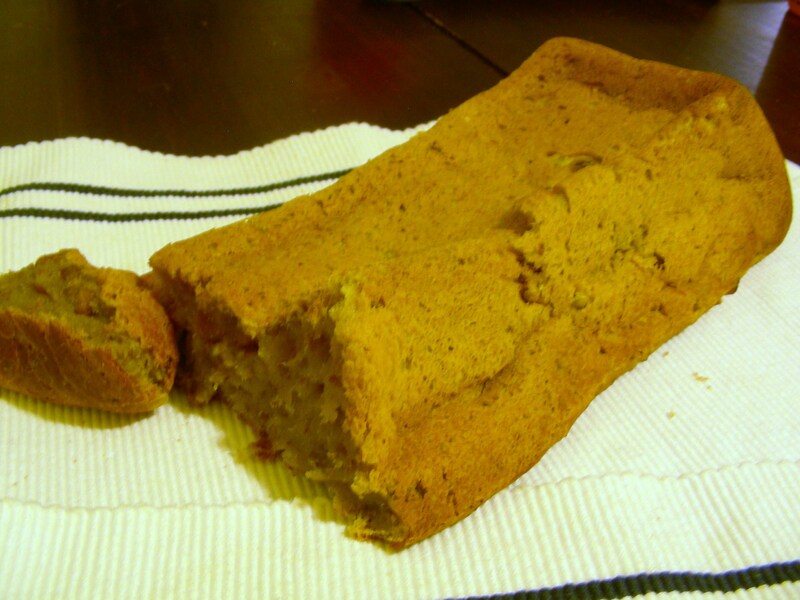 The other thing I changed from the basic white batter bread is the addition of a little extra sugar to make a sweeter loaf and added a bit of extras, like the chopped fruit and nuts. Maybe the dough can’t stand the extra burden from the fruits and nuts? Also, I switched flours. 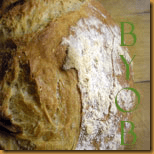 When batter bread still worked for me I had been using King Arthur’s Unbleached White Flour. These past two times I’d used a new bread flour that we bought. Maybe it’s the flour? 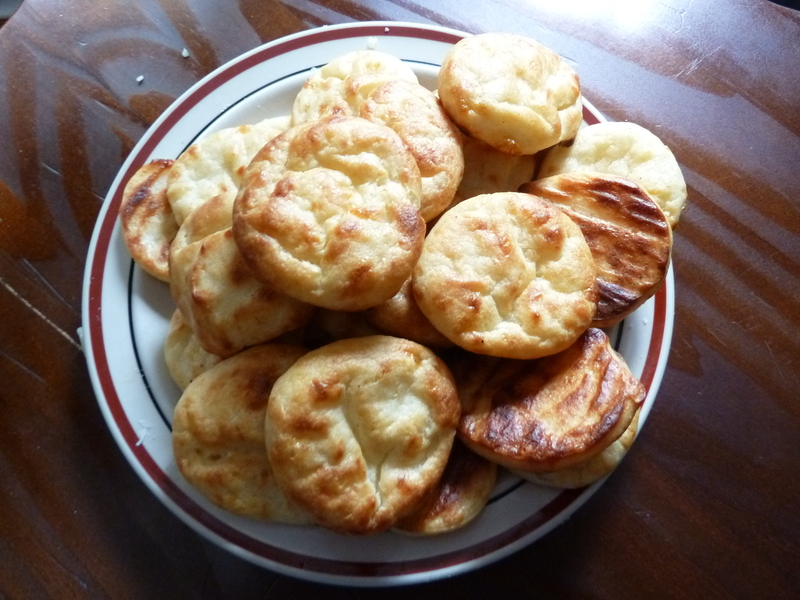 I’m going to make another Cloud Nine Bread next week with the new flour and see what happens with a straight batter. I still don’t quite understand. What do you think happened?